“Topics in Anaesthesia and Critical Care” : Trauma operative procedures. The Upper Airway and Anesthesiology - “Anesthesiology Clinics of North America” 2002 Dec; 20(4):893-906. Edited by W. B. Saunders Company (2002). Intubazione tracheale e tecniche alternative (pp.363-386). “Anestesia generale e clinica”, by Ezio Romano, 2004. UTET editors. Authors: Agrò F.E., Fusco B.M., D'Antuono A., Carassiti M.
Autori: Cataldo R., Costa F, Agrò F.E. 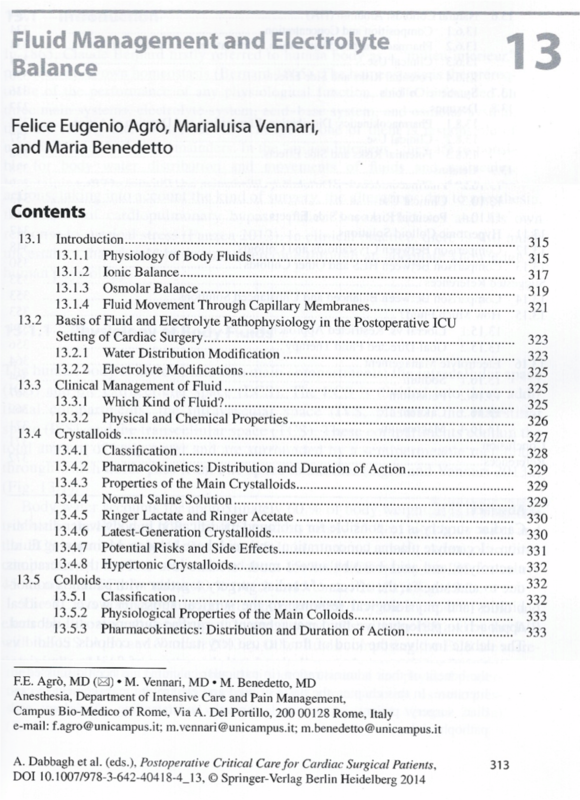 Fluid Management and Elecrolyte Balance (pp.315-384). 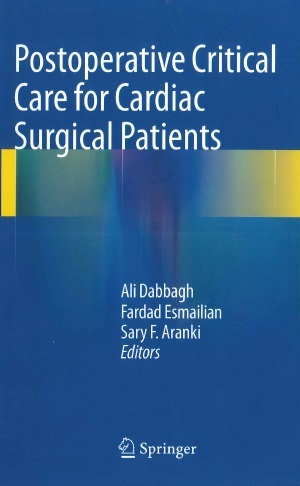 “Postoperative Critical Care for Cardiac Surgical Procedure”, edited by Springer, 2014. 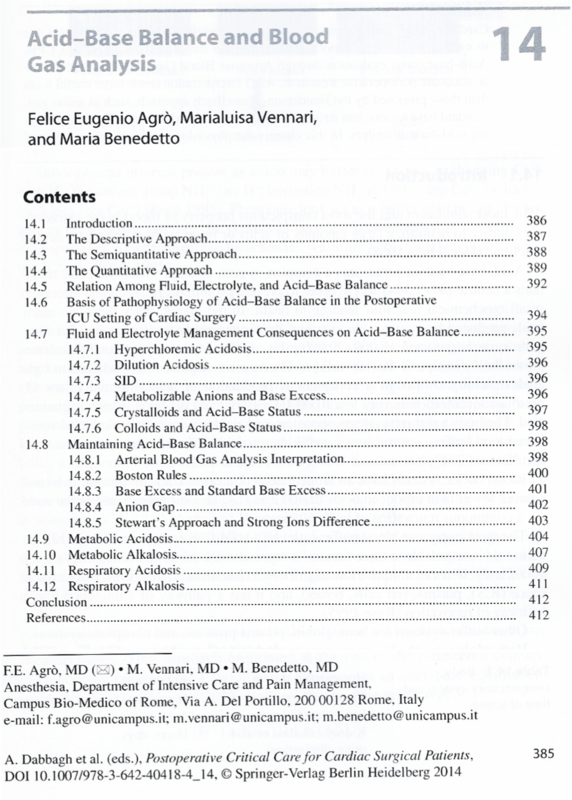 Acid-Base Balance and Blood Gas Analysis (pp.385-416).